Spring Parhelion Series- NoS now Published and Entries being accepted. The Spring Parhelion Race Series will be run from Sat 24 March through to Sat 28 April. ( note no race Sat 31 Mar - Easter Weekend ) This cruiser/racing series grows from strength to strength with a good mix of loyal regulars and newcomers competing in 2017. 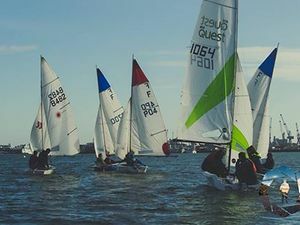 Typically two short races are organised each Saturday morning, each of around 90 minutes with starts within 10 minutes of the Harbour Entrance. Hot Turkey Race - Christmas Day! This year sees the 6th Annual Hot Turkey Race here at PSC. 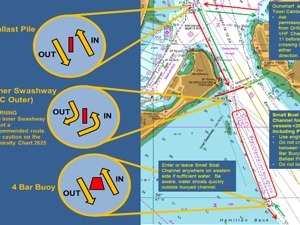 Start in the harbour entrance at 1030 and back to the club by 1200 for mulled wine and mince pies! 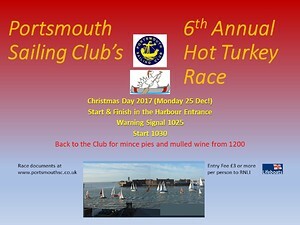 Race details here - http://www.portsmouthsc.co.uk/hot-turkey-1/race-do... 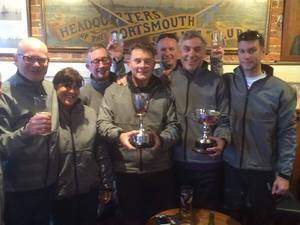 SADLY THIS YEAR'S RACE HAD TO BE CANCELLED DUE TO THE WEATHER - HERE'S TO 2018! 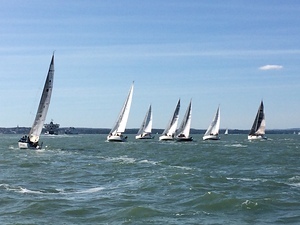 Parhelion Races on Sat 21 Oct are cancelled due to Storm Brian and the forecast SW'ly gales F8 gusting severe gale F9!